What happens when you combine dance, hula-hoops, visual art, soundscape, video art and an audience? This installation is a mix of all of these. We left traces, where ever we go. What kind of trails my hula hoop will leave? What kind of movement I have to create if I want to leave certain kind of traces? What kind of move or score would you create? What kind of traces your dance or hooping leave behind? What kind of sound your move will bring? 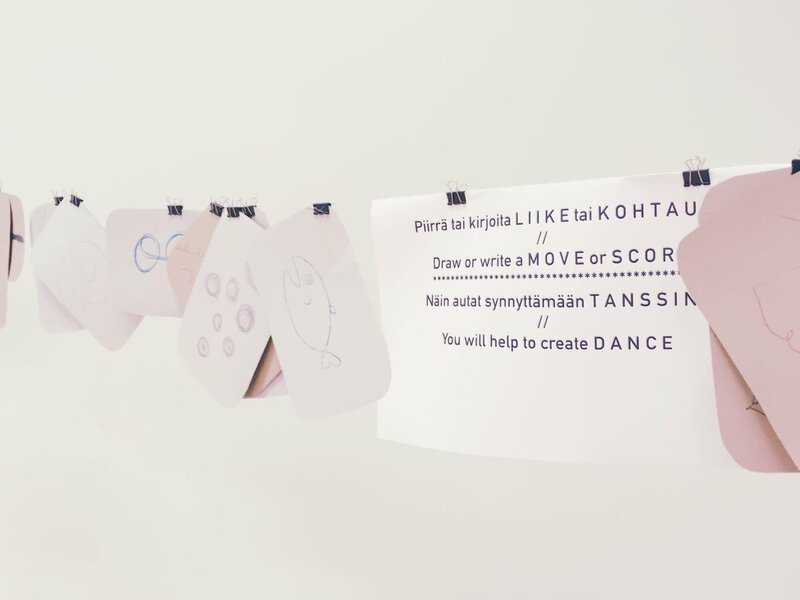 Communal art - audience can use their creativity by drawing or writing a score for artist. That´s how we create dialogue. In live performance, hoop performance create visual art. Performer use charcoal, pastels, hula hoops and her body to create traces. Audience can be part of the performance to draw move proposal for performer. Performance is adaptable for time and shape. Platform can be round ( ø5m ) paper on the floor or it can be whole room, using floor and wall. Time is also variable, it can be from 30min up to many hours. Suitable for museum, galleries, open spaces. Contact and let´s make plan.